DSC_0026, originally uploaded by McGillicutty1. Well not quite. I have stuff to say but not a great deal of time! 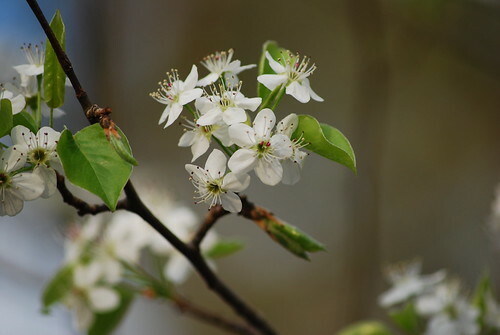 I'll try again tomorrow... for now, I hope you enjoy this lovely picture of the tiny blooms on a Bradford Pear tree. They are beautiful trees... so red in the fall and so pretty with their tiny white flowers in the spring. Oh nice. A sure sign of spring on it's way. I'm freezing as I type this comment but your flower give me hope. Spring WILL be here, Spring WILL be here, Spring WILL be here!